Happy Friday, internet! I hope you're all having a great week! I'm about to spend my last week as a 29 year old, and I'm hoping it's a good one. I feel like I should do something exciting. Any ideas? 1. 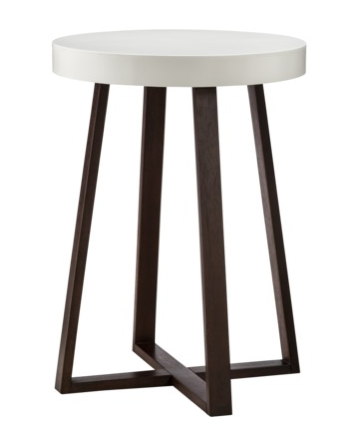 After weeks of Craigslisting and trips to Homegoods, I am officially sick of shopping for end tables. What's worse is that the Target end table I purchased in 2005 was literally falling apart. Rather then try to repair it again, I said 'screw it' and picked up this little guy at Target for $70. It will do until I find my dream vintage table, and then it can become a guest room nightstand. However, if I didn't need my tables to have storage space for a bonanaza of remotes and coasters, I would have taken this baby home with me. I love the lines, and the price! 2. 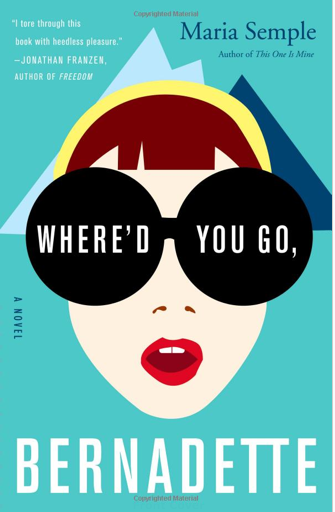 This month, my book club is reading Where'd You Go, Bernadette? by Maria Semple and I love it. I'm about halfway through, and have been staying up too late the past couple of nights because I am getting wrapped up in the story. I can't speak for the ending yet, but so far I highly recommend it! 3. 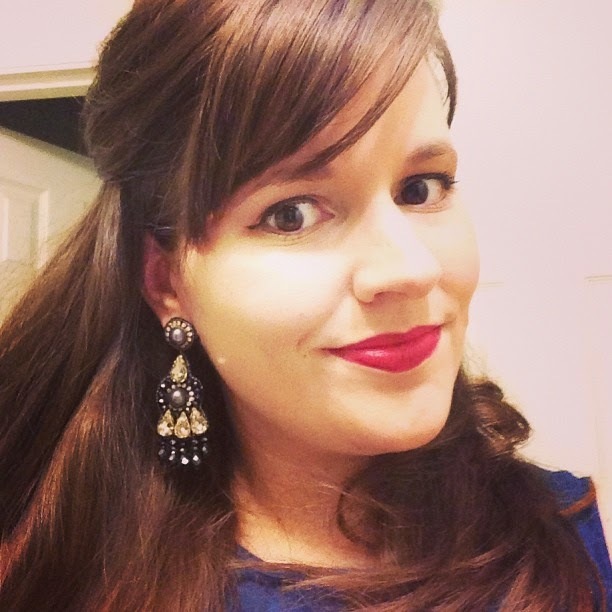 Earlier this year I started wearing a long-wearing mascara by Benefit called They're Real, and while it really does stay put all day, it's super hard to take off. 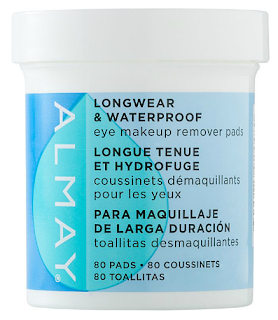 Luckily, I have found the holy grail of eye makeup remover. 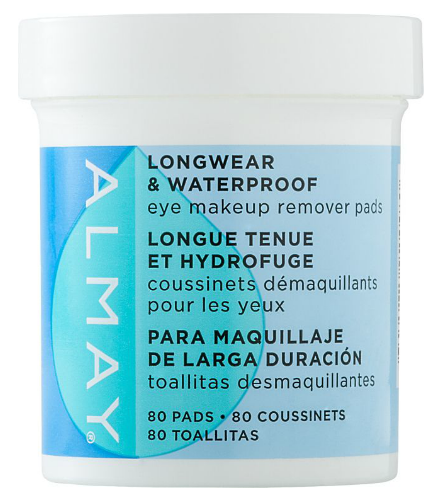 Almay Longwear and Waterproof Eye Makeup Remover Pads are the best at taking off every bit of mascara and (thick cat-eye) liner without having to pull or scrub the skin around my eyes. Plus, they're way cheaper than the cleansing wipes I was using before. 4. Is there anything more effortless than a perfect white tee and dark jeans? I am loving the fit of my Gap breathe v-neck tee, which also wicks away moisture and doesn't get gross when I climb into my 120 degree car and start sweating. It runs a tad large and long, but that's the look I wanted. I think I'm going to dress like this at work today, but my bra will keep things under control. 5. 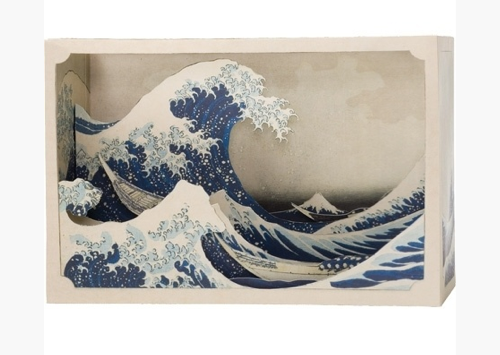 Aren't these diorama kits the coolest?? They're only $12 and intended for older kids, but I think they would make a nice addition to a styled bookshelf or table vignette. I also think they may be a good option come Christmas for those friends who have all of the things, and it's a much more memorable (cheap) gift than a candle or picture frame. Act surprised, friends!